With a view to the Riegersburg this Kellerstöckl presented in the Styrian volcano land. Up to 5 people come here to enjoy, to experience a außergwöhnlichen holiday. In the cooler months. With a view to the Riegersburg this Kellerstöckl presented in the Styrian volcano land. Up to 5 people come here to enjoy, to experience a außergwöhnlichen holiday. In the cooler months, the sauna, the conservatory or the stove with heated lying area invites you to relax in the summer offer 3 terraces and a large garden lots of space to rest. Charmingly, everybody will find his personal favorite place. The environment promises a lot of variety, it includes a trip to Riegersburg with the legendary bird of prey show and a stay in one of the many spas for mandatory program. In addition to wine tastings are also able to enjoy various other delicacies offered by the organic farm. 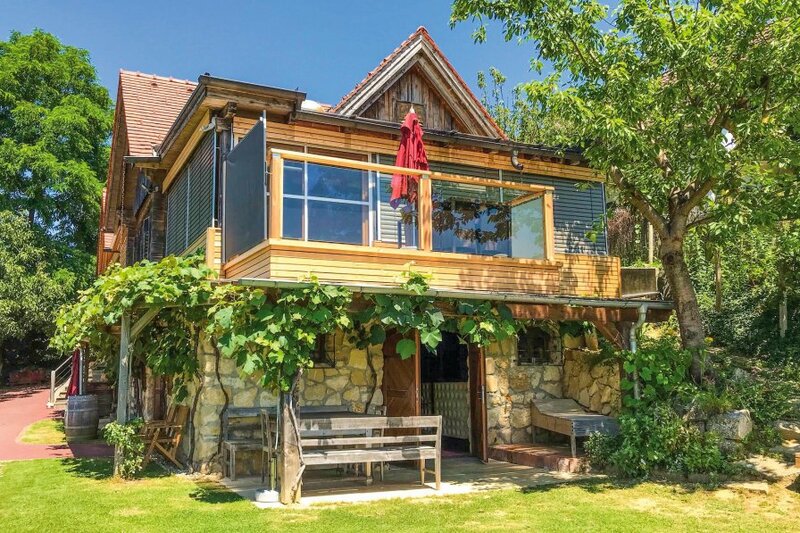 This beautiful chalet is made from wood and brick and was originally built in 1970 and refurbished in 2017. The agent has rated it as a four star property so it is a well-equipped chalet with above average furnishings. It is also great value for money. This chalet has panoramic view of landscape and is located in Breitenfeld, only 15km from Feldbach. The nearest airport is 60km away. It is set in a good location, 6km away from a lake. There's also a restaurant 4km away. The chalet has free wireless internet. You can also park on-site at no extra charge. The chalet is well equipped: it has a refrigerator, microwave and dishwasher. 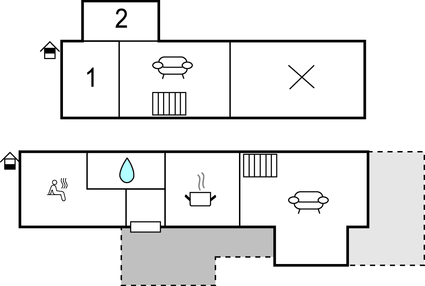 The property has a sauna; it also has a barbecue and some garden furniture outside.